Prospecting calls have one goal: to convert the potential client into an actual client. Whether you love prospecting via phone or not, as a real estate agent it is one of the biggest parts of your job so it’s important that you are at the top of your game every time you pick up the phone. 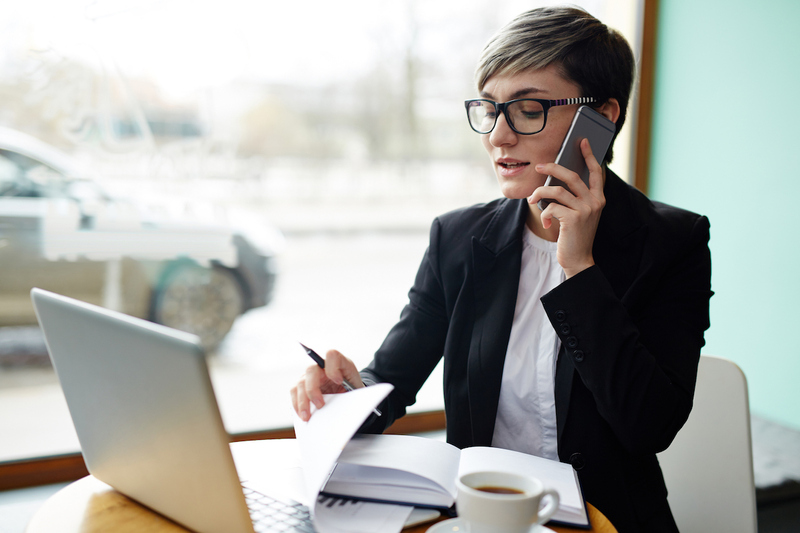 All it takes is a little practice using these five smart ways agents can improve prospecting calls and help you close more deals and gain new clients. Cold calling is hard to begin with – don’t make it harder on yourself by not taking the time to research who you are calling. The more you know, the better rapport you will have with the prospect, because you are proving you care. A quick Google search or LinkedIn search should give you enough details for a successful cold call. If you don’t believe that you can help the client and have the knowledge to do so, you should probably consider a career change. Your lack of confidence will certainly translate over the phone, so just be yourself and believe in your talents. If you are feeling less than confident, take a few minutes to determine what areas you can work on to improve yourself. Sounding like a robot on the phone will most likely result in a hang-up. Don’t try to emulate someone other than yourself, because that will result in you losing that raw realness that people crave. There are ways to improve your pitch, but not in a way that makes you sound inauthentic. Relax and have a real conversation. Go off script – you’ll be surprised how easy it is. One of the most important traits of a successful cold call is having a positive attitude and being kind. If you seem uninterested when you make the phone call, you will make the person on the end of the line feel exactly the same way. Cold calling is one of the hardest parts of being a real estate agent but you must do it to build your client list and increase sales. Even just smiling while on the phone will translate to your prospect. No one wants to work with someone who has a negative attitude. Be light and positive. Have a plan in place for when you are going to reach out to prospects. Determine what time is the best time to call by considering time zones, etc. Don’t call prospects outside of regular business operating hours and be understanding if they say it isn’t a good time to speak when you do call. Be sure to give them specific times they can call you to continue the line of communication. Try to target the most probable sale first and then go from there. The hottest lead will probably result in a longer phone call, so keep that in mind.